Each week, in the second hour of the show, Ben brings you the very latest Billboard charts. Below you can find the current top ten songs on the Billboard Country Airplay chart. 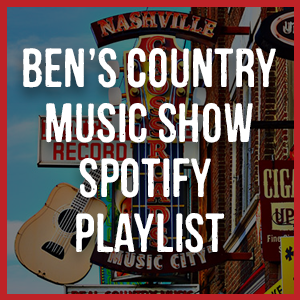 Make sure you tune into the show each week to hear the number one single on US Radio that week, played in full on “Ben’s Country Music Show”.